BR15 SV welding machine (with power from 8 up to 15 KW) can be designed for the HF welding of items for cars such as: sun visor, individual parts of an instrumental panel, textile insertion - HF lamination, sealing of PA structural component, reinforced-section welding on floor carpet. 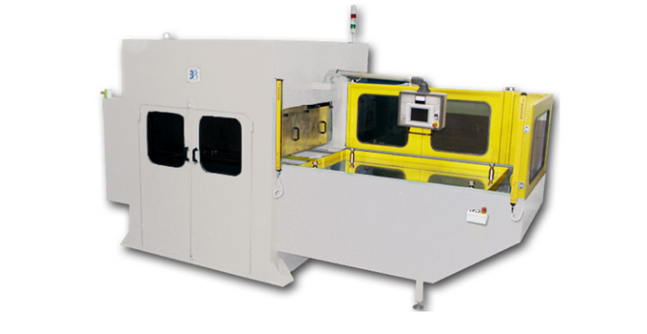 Machine equipped by ELECTRODES by BALACCHI HF, appositely studied for any needs. This machine is particular ergonomically adapted and dedicated to specific tasks that require intensive manipulation of materials. Its strong C contraction, good visibility and accessibility to the work area enable precise performance of welding operation.